He built a name for himself with his critically acclaimed mixtape Acid Rap, and fans have been waiting for Chance The Rapper to release his first proper full-length ever since. Earlier this year he played a prominent role in Donnie Trumpet & The Social Experiment’s Surf, with the album’s surprise release inspiring hope that Chance’s full-length would soon follow. 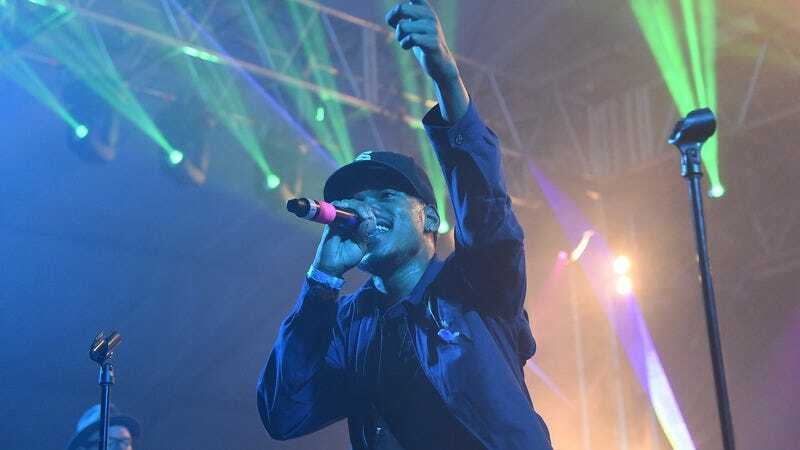 Though details are scant on that long-rumored album, it looks like Chance is taking on another project that’ll potentially push that record’s release even further into the future. As Pitchfork reports, Chance will be taking the lead role in a murder mystery film called Slice set to come out next year. There’s no information about Chance’s role, but Slice will be directed by Austin Vesely, who previously worked with Chance on the video for Surf’s “Sunday Candy.” This will be Chance’s second starring role, following his appearance in the short film Mr. Happy, which can be streamed in its entirety below.